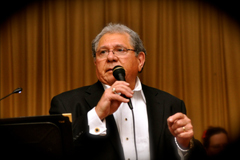 The Tony DeMeo Orchestra is a 17-piece jazz Big Band dedicated to re-creating the music of Frank Sinatra classics from The Great American Song Book. The band's sound is the product of extraordinary musicianship as well as the great arrangements of the most famous recordings, many of which are originals that were arranged for Frank Sinatra when he performed with The Count Basie Orchestra. The Tony DeMeo Orchestra is made up of the finest seasoned jazz musicians who have played every genre of music, from rock to classical. They have performed in nightclubs, Broadway shows and concerts, and have backed great performers like Ben E. King and Frank Sinatra Jr. They present big band music and arrangements from Count Basie, Nelson Riddle, Neal Hefti, Sy Oliver and Quincy Jones, to name a few. 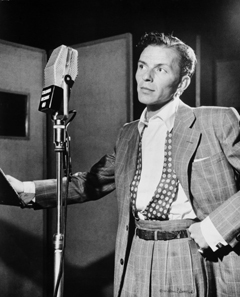 Their repertoire includes more than 100 songs that were arranged for Frank Sinatra, and many were recorded live with the Count Basie Orchestra in Las Vegas.